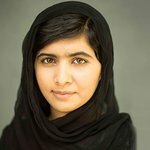 The Malala Fund has announced that it will be partnering with Save the Children to help vulnerable Syrian and Jordanian children return to education. Malala Yousafzai is in Jordan with her father Ziauddin Yousafzai and the CEO of the Malala Fund, Shiza Shahid to raise awareness about the plight of Syrian children. Speaking in Za’atari, Jordan, Malala emphasized the need for children to return to education. The projects will help vulnerable children living in an informal settlement in Amman and in the north of Jordan, in an area near the Syrian border, where many refugees have fled to escape the conflict and are now living in host communities. Children aged between 9 and 17 who have been identified as out of school or at risk of dropping out of education, will benefit from classes in basic literacy and numeracy. Led by Syrian and Jordanian teachers, classes will also focus on a range of life skills, aimed specifically at offering children who have witnessed conflict and upheaval positive learning opportunities.